CHAVENOGUE is located 20 minutes from the Juan Santamaría Airport, and just 5 minutes away from downtown San José. Our convenient location will give you the opportunity to start and finish your trip having a home base where you can plan your vacation or your business trip. 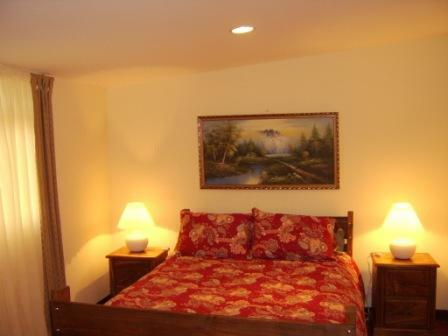 6 spacious rooms, all with private bathrooms, hot water and ceiling fans. 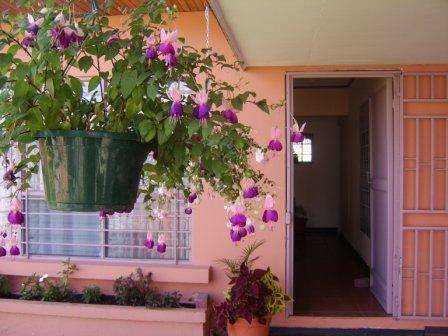 Walking distance to banks, restaurants, supermarkets, shopping plaza, bus stops to San José and all destinations. Costa Rican Breakfast includes: The typical Costa Rican dish Gallo Pinto (rice mixed with beans and spices), eggs, toast, fresh tropical fruits, juice and coffee. Served from 7:00 to 10:00am every day except on Sunday. 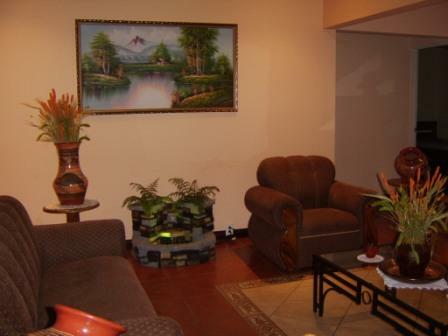 CHAVENOGUE B&B its conveniently located in the town of San Juan de Tibás, just 5 minutes from San José and 20 minutes from the Juan Santamaría International Airport. From our convenient location you have access to two of the most important volcanoes (Poás and Irazú) which are located just 35 minutes away!!! 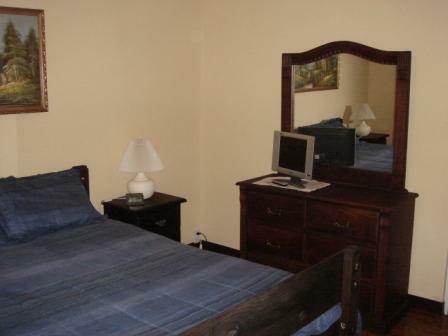 CHAVENOGUE B&B Offers 6 different spacious rooms constantly upgraded all equipped with private bathrooms, ceiling fans, cable TV, wire and wireless High Speed Internet access. 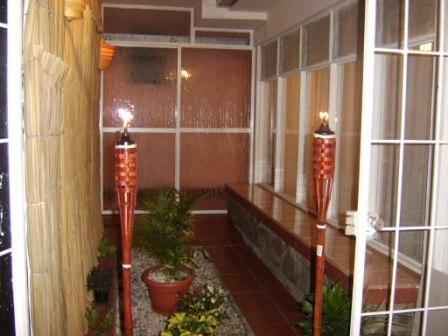 Some rooms are available with twin and queen size beds, air conditioning, and luxurious bath tubs. 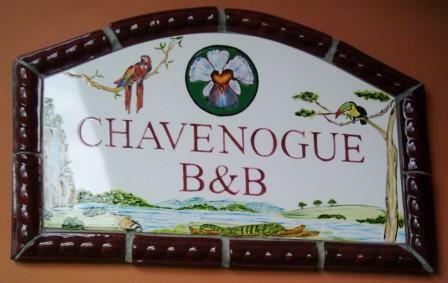 CHAVENOGUE B&B offers excellent accommodations for single travelers, couples and families. Special Rates Available to book the entire Hotel for Special Events such Wedding Receptions or Family Reunions. Reservations must be posted 3 months in advance. Our guests have access to a variety of services nearby our B&B, such as the main supermarket (MÁSXMENOS) and a shopping plaza with a great variety restaurants and a wonderful selection of shops, all located just a block away! The Post Office is two blocks from the B&B, and bus stops to downtown San José and Heredia Province (home of the INBIO Park) are just around the corner. If you book thru this site you will have a 10% discount of our regular prices. CHAVENOGUE B&B WILL REQUIRED FULL PAYMENT PRIOR ARRIVAL. OUR CANCELLATION POLICY IS 50% OF TOTAL STAY. THIS IS A VERY STRICT POLICY DUE TO OUR LIMITED SPACE.